In the Marvel mythology, Loki is the treacherous half-brother of the mighty Thor, Norse god of thunder. Here's my take on the classic design, with elements taken from other renditions that have appeared in the comics. 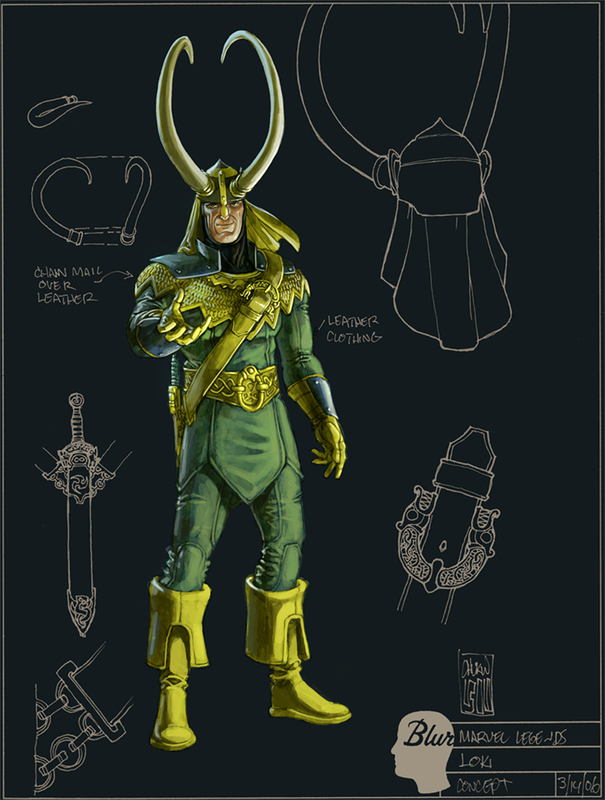 I added the more traditional elements, such as the Celtic-inspired buckles and ornaments, as well as the chainmail covering on his good old Jack Kirby shoulder drape. Have at thee!